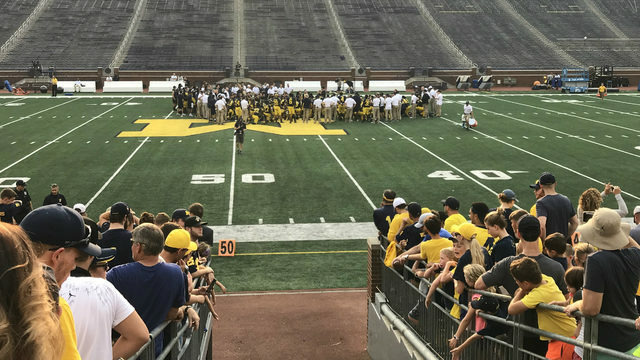 ANN ARBOR, Mich. - Michigan football is midway through the 2018 regular season, and it has already earned plenty of criticism, skepticism and praise. Since an ugly opener at Notre Dame, when the offense was in disarray and the defense got off to a slow start, the Wolverines have won five straight games -- four in dominating fashion. Michigan took care of business as a heavy favorite in all five games, and now it has earned an opportunity to prove itself as a legitimate contender in the Big Ten. FROM LAST MONTH: Would winning the next 5 games put Michigan's season back on track? What have we learned about Michigan? The day after the Notre Dame game, fans looked at Michigan's schedule and knew the Wolverines should win their next five games. But assuming victories for a stretch of almost half the season is much easier than actually winning the games. Other than a 20-minute stretch against Northwestern, which has turned out to be a pesky team in the Big Ten, Michigan rolled over everyone on its schedule. We learned that, at the very least, Michigan can exert its will on weaker competition, which is more than it showed last season. Michigan put up more than 400 yards of offense in each game except the trip to Northwestern when it settled for 376 yards. More impressively: Only one team put up more than 220 yards against Don Brown's defense. When Michigan lost to Notre Dame, it was unclear if Jim Harbaugh's team was any better than last year. 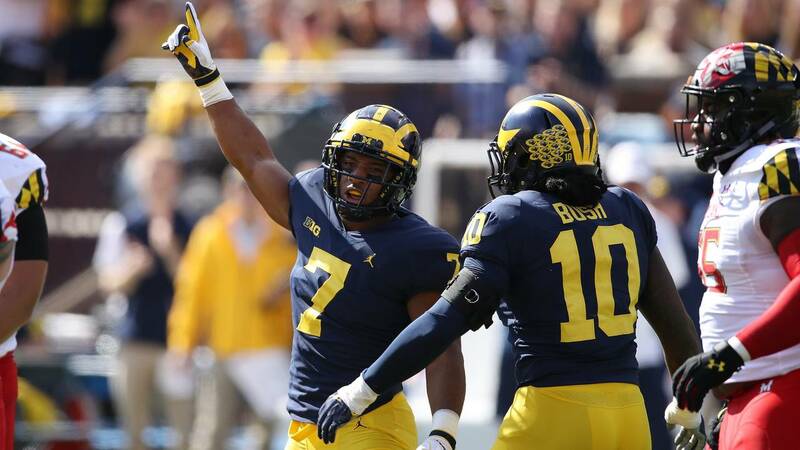 Now, with six games of data, it's clear that Michigan has improved, especially on offense. Shea Patterson is a massive upgrade at quarterback, completing 68.8 percent of his pass attempts for nearly 200 yards per game. 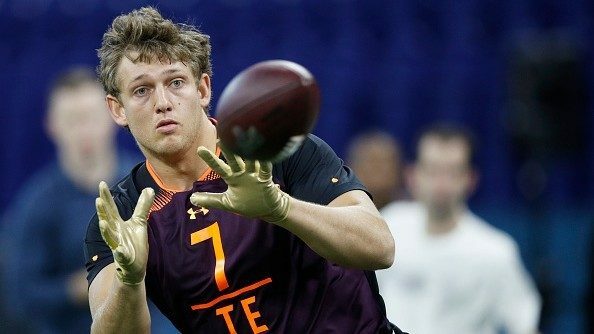 He hasn't been asked to do much in the passing game, but he's thrown for 10 touchdowns and only three interceptions as he grows more comfortable in the offense. 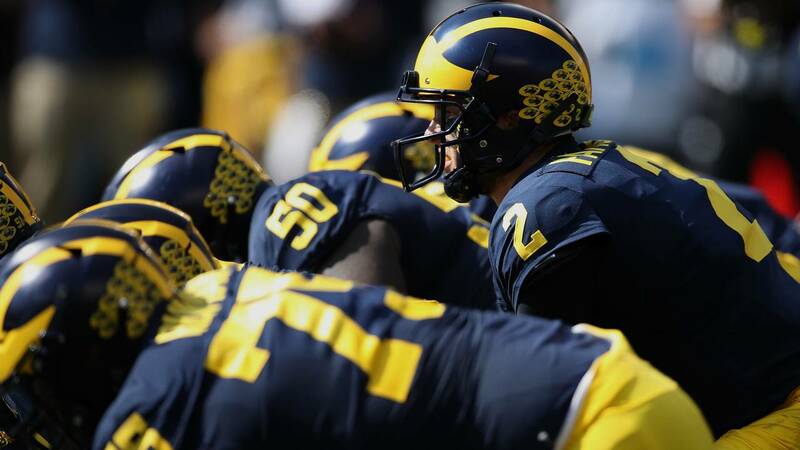 Part of Patterson's success is owed to the improvement along Michigan's offensive line. Notre Dame lived in the backfield in the season opener, and since then, the line appears to have improved dramatically. 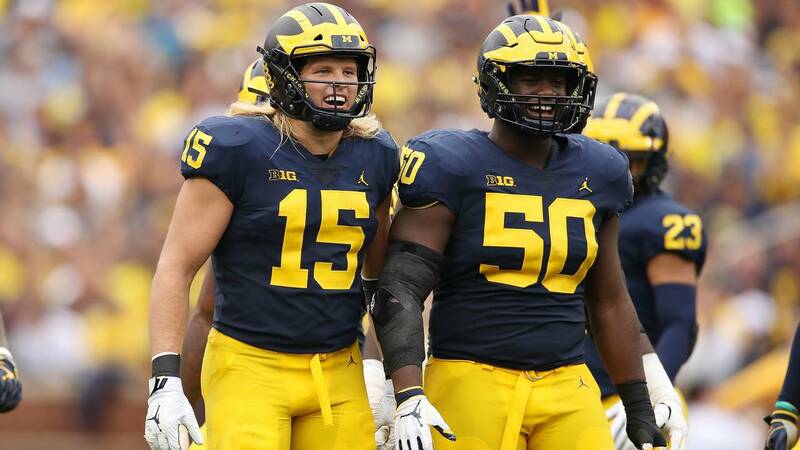 No, Michigan hasn't seen a defensive front as strong as Notre Dame's in the last five weeks, but the Wolverines have only allowed three sacks in the last four games, and Patterson was only hurried once against Maryland. Wisconsin will be a major test for Michigan's offensive line, and it will prove whether the improvement is a reality or a mirage. For the Wolverines to survive the next three games, Ed Warinner's group has to continue to keep Patterson upright. The receivers and tight ends also deserve credit after a year in which 31 catches and 307 yards were enough to lead the team. 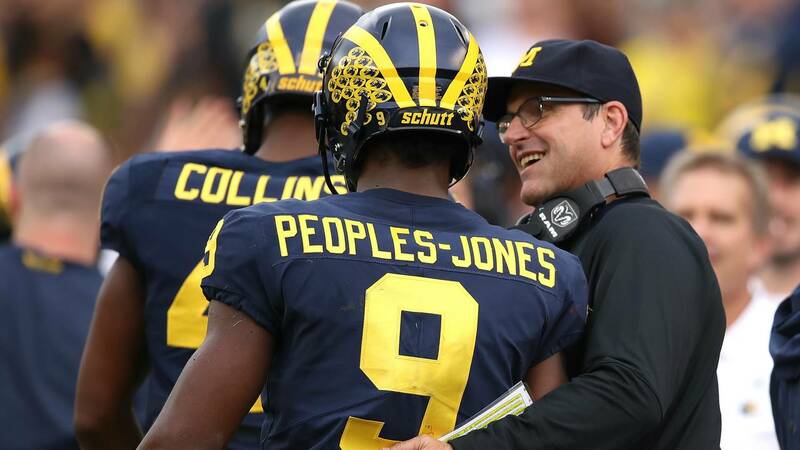 Donovan Peoples-Jones already has five touchdown catches, which is more than any Wolverine totaled in 2017. He has combined with Nico Collins and Zach Gentry to catch more than 50 passes for nearly 800 yards. Gentry caught seven passes against Maryland for 112 yards. He's a massive target and a matchup nightmare as he becomes more comfortable at the position. 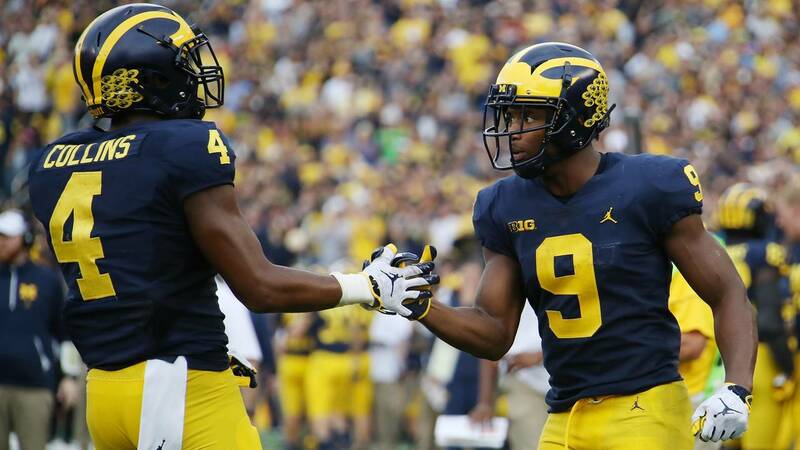 Michigan is improving in all three phases of the passing game, and that's allowed it to bounce back from an early loss and get back into the mix in the Big Ten. 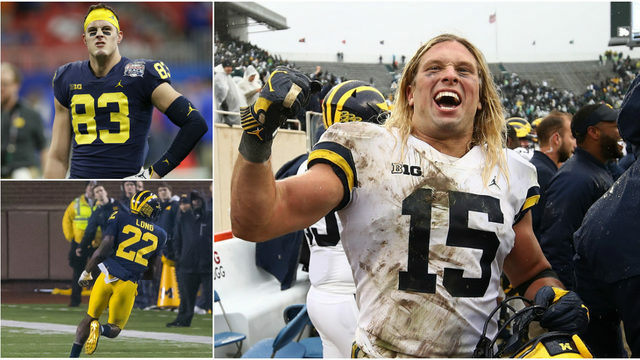 Michigan played a nearly perfect game three weeks ago against Nebraska only to turn around and flirt with disaster at Northwestern. That road game proved that a college football season can change on a dime. Slow starts have been a problem for Michigan. It fell behind 21-3 against Notre Dame and needed a kick return touchdown to stay in the game. In Evanston, the Wolverines spotted Northwestern a 17-0 lead and needed every minute of the second half to escape with a three-point win. Michigan completed its comeback over Northwestern because it has more talent, but it would be much more difficult to dig out of a hole against Wisconsin, Michigan State or Penn State. The Badgers have plenty of experience playing in and winning big games, so they won't be phased Saturday by the night game atmosphere. Michigan has to be ready to go from the opening whistle. Penalties are another concern. The Wolverines have been penalized 78.8 yards per game this season, good for 117th in the country. Michigan has given up big chunks of yardage and extended opposing drives with penalties. Flags on third downs doomed the Wolverines at Notre Dame. In Michigan's only other close game, it committed 100 yards in penalties against Northwestern. Wisconsin averages more than 480 yards of total offense per game, so it doesn't need help from flags. Michigan did a great job bouncing back from the loss to get to this position, but the narrative surrounding the football program hasn't changed. In order to change the perspective that the Wolverines can't win big games, they have to go out and win the next three games. Michigan will be a favorite against Wisconsin and Michigan State the next two weeks, but if it doesn't take care of business, the perception of Harbaugh's team as mediocre will only gain steam. The last five weeks could only hurt the Wolverines. If they would have lost a game, they would have been buried on a national scale. Instead, they took care of business and now have an opportunity to silence some of Harbaugh's loudest critics. Michigan had three chances to turn the 2017 season around against ranked teams and lost by double digits in all three games. If 2018 is different, it starts with a win over Wisconsin.